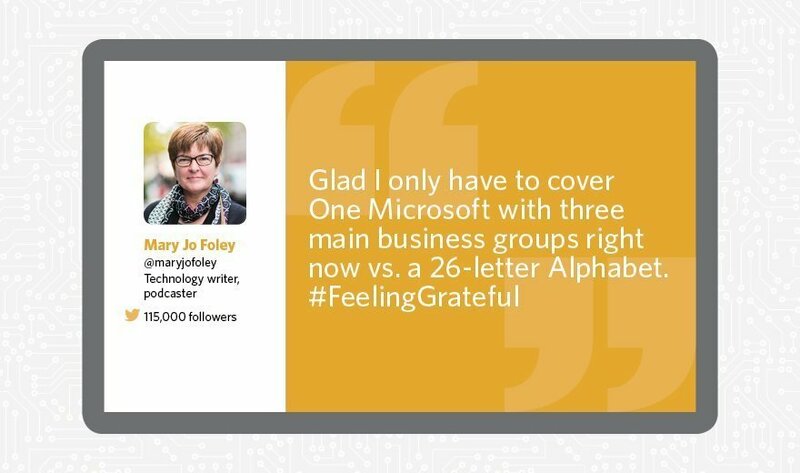 While a name like All About Microsoft might sound like a lofty claim, followers of Mary Jo Foley (@maryjofoley) know that it's an apt description. Foley has been covering the tech industry for more than 30 years, most recently as a blogger at ZD Net under the aforementioned All About Microsoft mantle. Her dogged approach to covering the company make her one of the most influential and thorough Microsoft experts to follow on Twitter. "She cultivates sources deep inside Microsoft, its partners, channel, developer and systems administration communities and even amongst its users," said Trevor Pott, an IT consultant in Edmonton, Alberta, Canada. "Her network of sources is such that she has a visibility into Microsoft's plans, intentions, motivations and rationale that few -- if any -- other technology journalists do. Foley is relentless, bordering on inevitable." Foley's activity on Twitter is formidable, averaging almost 900 tweets a month, and clearly valuable to her 115,000 followers who benefit from her deep knowledge of Microsoft's inner workings. Foley's Twitter account is ripe with news and reviews -- and occasionally a craft beer or two.